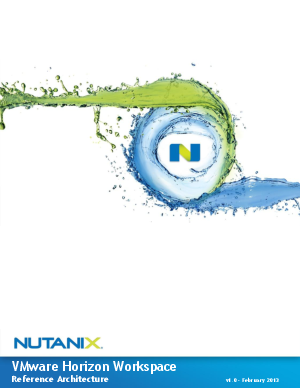 White Paper Published By: Nutanix, Inc. Looking to gain control of your user's desktops, applications and data? The Nutanix reference architecture for VMware Horizon Suite - validated by VMware engineers - provides scalable, high performance and flexible datacenter infrastructure to connect end users to their data, applications and desktops without sacraficing IT security and control.